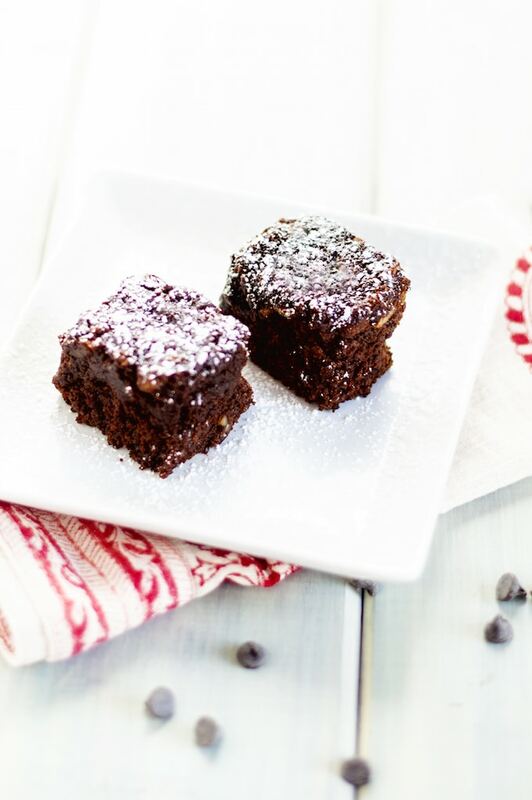 Double Chocolate Quinoa Brownies are a healthier alternative to traditional brownie recipes. Gluten Free with a Vegan Option. Today is the last day of #Choctoberfest and today I’ve made you brownies. 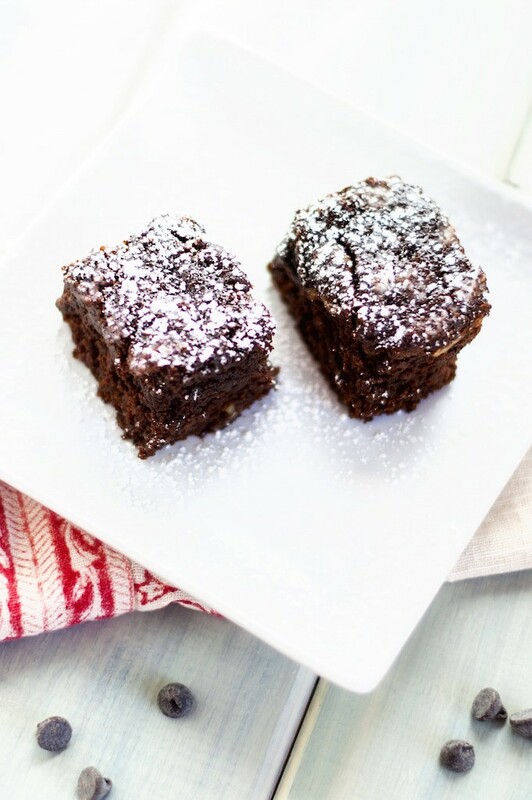 Not just any brownies, Double Chocolate Quinoa Brownies. 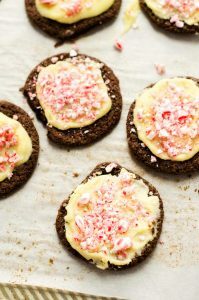 These are rich, fudgy and oh-so delicious. It is hard to believe that they are gluten free. While there is still time, make sure you check out this post to enter the amazing chocolate giveaway! Nothing says special occasion like a hot fudgy brownie! It is hard to believe that these are packed with quinoa and gluten free. Line a 9 x 9 square pan with parchment paper allowing the sides of the parchment paper to overlap the pan. Place a metal bowl over a pot of simmering water and add dark chocolate and butter. Melt, stirring occasionally and being careful to not allow the water to touch the chocolate. Meanwhile, place quinoa and flour in a blender. Process for 2 minutes. Add cocoa powder, salt and baking soda. Process until smooth. Transfer to a large bowl. If using flax eggs, combine 3 tablespoons ground flax seeds with ½ cup plus 1 tablespoon of warm water. Mix well and set aside to thicken. In a medium bowl combine eggs (or flax eggs), coconut palm sugar and maple syrup. Whisk until well combined. Add yogurt, coconut oil, vanilla extract and melted chocolate. Add wet ingredients to the quinoa mixture and stir until well combined. Stir in walnuts. (optional) Place batter in prepared pan and bake for 30 to 35 minutes. Remove from oven and place pan on rack. Allow to cool completely. 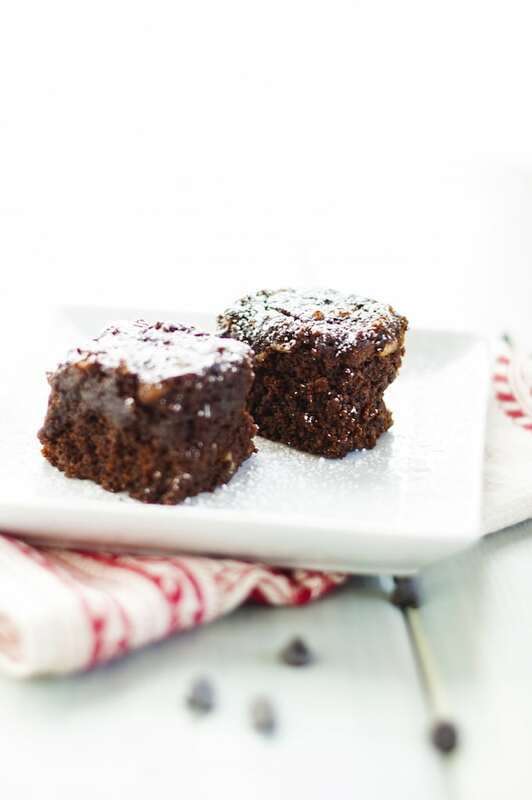 Use the parchment paper to lift brownies from pan, cut and serve. 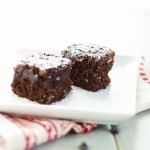 A much healthier brownie than what I eat! Love it!